Previous: The Benefits of Labor Support and Why Doulas Should be Prescribed. Next: How to Advocate for Your Best Birth Experience. Preparing for baby, navigating pregnancy, and even just life in general can all add stress to your day. Yet when it comes to staying healthy, managing your daily stress is just as important as eating well and exercising. Stress management can also help you toward your specific pregnancy, labor, and birth needs and goals–from pain relief in labor to fighting for every extra week of your high-risk pregnancy. Let your brain breath! Meditation and mindfulness practice has been demonstrated to reduce stress and anxiety associated with pregnancy, improve immune function, decrease pain perception, decrease risk of postpartum depression, and improve birth outcomes. Mindful Birthing – An in-person class or a book/audiobook that dives into the the practice of mindfulness and meditation from pregnancy to parenting. Research on moms who took the class Mind in Labor (MIL): Working with Pain in Childbirth found that these women had an improved view of their birth experience and a reduced risk of postpartum depression. Yoga can be another form of meditation practice to ease the mind. 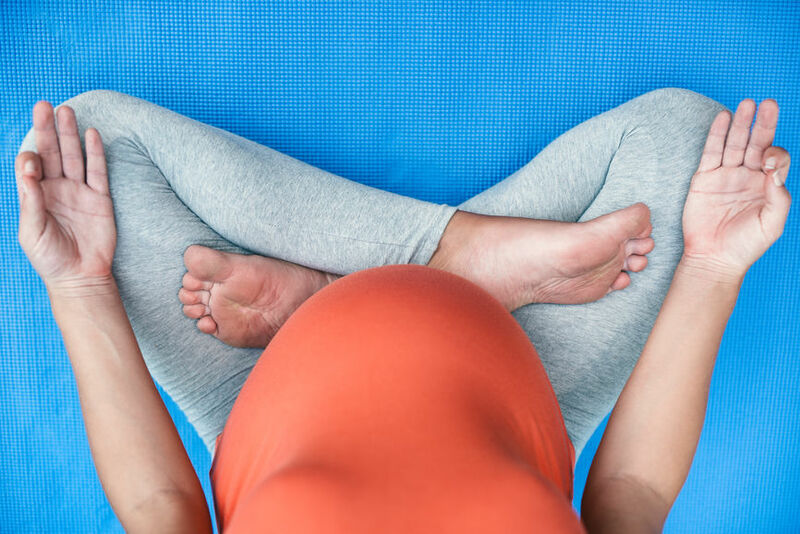 Prenatal yoga practice has been demonstrated to decrease stress, shorten labor, and improve birth outcomes. Jane Austin Yoga – The mother of prenatal yoga! If you’re in San Francisco, definitely check out her classes. If you’re not, bring Jane into your living room with her video series. How our brains interpret stress is often based on our sense of control and context. In pregnancy, especially for labor and birth, this can come from having better information about the process, the options, and the possibilities. A comprehensive birth class covers these aspects, and can also help you and your partner align and become a better team for whatever may come in that labor and delivery room. Choosing the right birth class for you is a personal decision, but here is a good resource to see the breakdown of the main types of childbirth classes. Yes, sleep naturally gets crappier and crappier as you advance towards your due date. But it is still important to try to get the best sleep you can during this time since lack of sleep interrupts our brains ability to suppress negative responses and can increase anxiety. Nap! Sleep debt is a real thing and, if you find that you toss and turn at night, you can chip away at your sleep debt if you nap at the peak of sleepiness in the afternoon. Sleepio – If you need extra help changing your sleep habits and improving your overall sleep quality at night or overcoming insomnia, Sleepio can help. 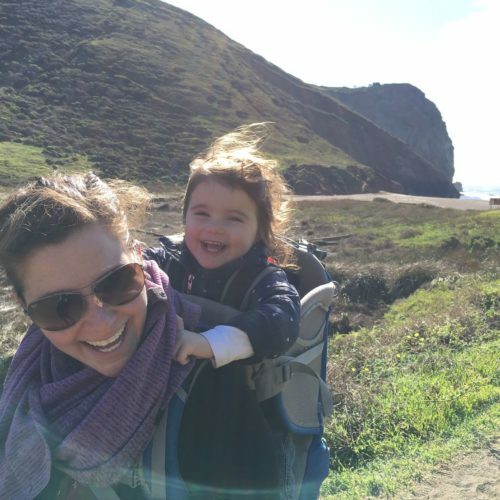 It is the cognitive behavioral therapy program that UCSF researchers are currently using in their studies on improving sleep during pregnancy. Same message as above – keep your brain at peace with the big unknowns of labor and birth by having an expert by your side. Research has linked continuous labor support with lower chance of Cesarean birth, shorter time in labor and more satisfaction with the birth experience. While the direct links between labor support and stress remains to be studied, I’m going to go ahead and assume they will make that connection someday soon. Find your doula – Sites like Doulamatch.net or Findadoula.com can help you get started. It can be stressful to feel like you are all on your own out there. You’re not! Social support dampens how our brain interprets and responds to stress. Support during pregnancy has been shown to improve mama’s labor, mental health, and the health of her baby. Bloomlife Moms Club – It takes a village to raise up a mama, and we’re here for you. The Bloomlife Moms Club is a judgement-free space filled with moms like you, as well as birth experts available to answer any questions you might have and help you find the support that you need. Sometimes you need a little extra love to get through a particularly rough pregnancy. For this, it can help to connect with someone who has been there (and then become certified to help you). Jessica Fisher, Bed Rest Life Coach – Jessica provides guidance and coaching to mamas on bed rest. You can read her inspiring story here. Checking in with your body can help you find balance and work toward reducing your daily stress. Measurements such as Heart Rate Variability (HRV), a physiological change associated with stress, can provide a deeper level of awareness about how aspects of daily life positively and negatively affect your body. 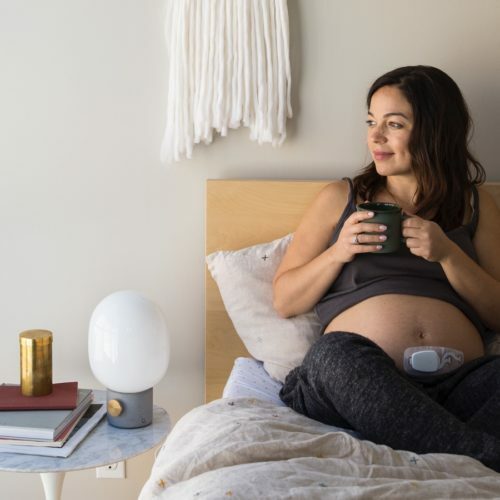 Bloomlife Mind-Body – We’re working on a stress management tool that measures HRV to provide personalized insight and guidance in the context of pregnancy to help you return to a balanced state or help you achieve your own stress management goals. Read more and sign up to be the first to try it out HERE.